Boxman Studios Launches ‘Super 10’ for CES and S.H.O.T. 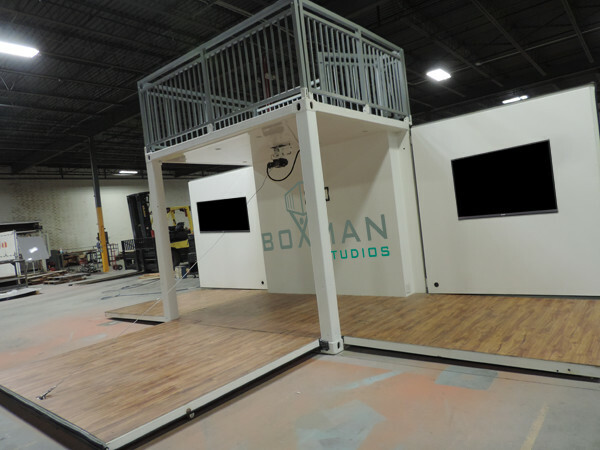 In preparation for 2016 Consumer Electronics Show (CES) and The Shooting, Hunting and Outdoor Trade Show (S.H.O.T)., Boxman Studios is launching the company’s newest modified shipping container design for on-demand retail, mobile marketing, and hospitality. Our assets are like life-size building blocks. With that, comes the ability to inspire creativity in our clients. Boxman Studios, the global leader in hyper-customized shipping container modification will launch a new hospitality and on-demand retail space design – the ‘Super 10’. Built from a 10-foot shipping container, the space has three fold-out walls to allow for a total of 600 square feet, once completely deployed. "The Super 10's versatility will mean a big change for the on-demand retail and hospitality industries," said David Campbell, CEO of Boxman Studios. "Our assets are like life-size building blocks. With that, comes the ability to inspire creativity in our clients." The turnkey space utilizes hydraulics to make the set-up and tear-down quick and easy. Pre-installed TV mounts allow for interactive display monitors and a second-level balcony provides an optimal environment for a breadth of experiences including advertising space, DJ booths, and elevated observation. 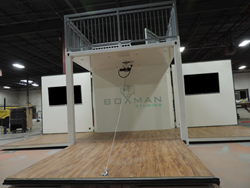 Boxman Studios’ Super 10s have ample space to be activated individually at trade shows or outdoor festivals/activities, and can be activated in conjunction with additional Boxman assets. 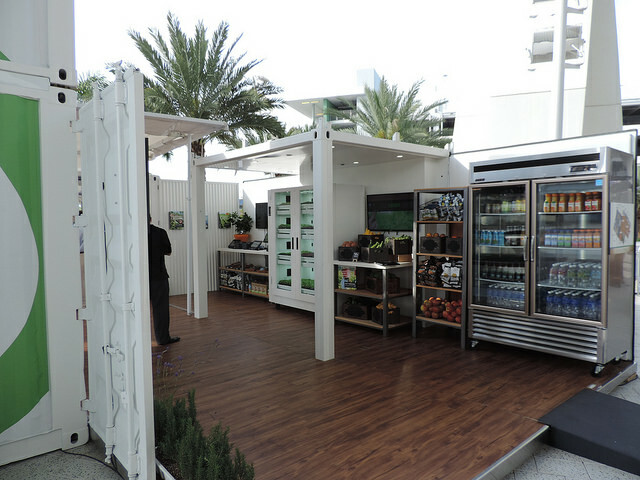 For example, Compass Group’s ‘Simply Puur’ activation includes a vertical garden, a 20 foot suite serving as a mobile kitchen and the Super 10 used for point of sale and retail space. It all started back in 2008 during America’s real estate downturn when CEO David Campbell had the notion to use shipping containers as a way to create ultra-innovative mobile spaces. 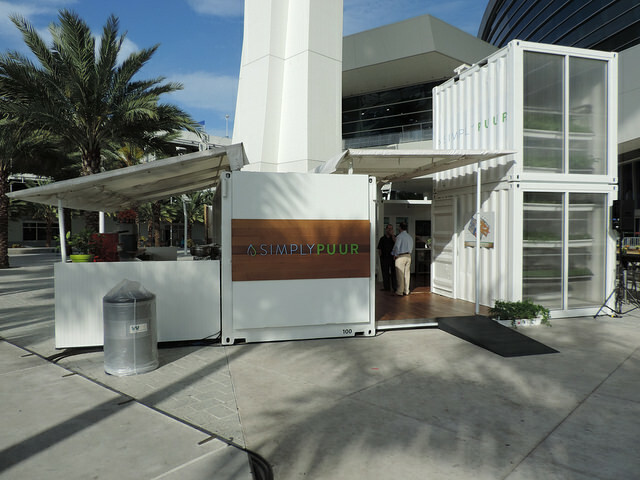 Over the last seven years, Boxman Studios has worked to create the standard for modifying and purpose building shipping containers for the hospitality, marketing, food service, retail, and financial industries. Boxman Studios, cited as Charlotte’s number-one fastest growing business in 2013, has caught the eye of clients that include Nike, FritoLay, GE, Google, and Samsung. Boxman Studios placed on the INC 500 and INC 5000 lists consecutively. In addition, INC magazine, Dwell Magazine, Adweek, TEDxCharlotte, Charlotte Business Journal and BIZBASH have featured Boxman Studios in articles, videos and innovation awards. For more information visit http://www.boxmanstudios.com.